Search engine optimization (SEO) can be a great business opportunity. It can bring you more website traffic and increase your online sales, all without being required to make a purchase (unlike paid search marketing). With so many benefits and a non-existent price tag, you would think that there would be no complaints about this digital marketing tactic. However, the number one criticism SEO seems to receive is that it takes too long to see results. This is a valid complaint. After all, traditional advertising usually only takes one month to either show results or indicate that a strategic change is needed. In order to start seeing more organic website traffic from search engines like Google, your website needs to rank on page 1 for relevant keywords. Why? The great thing about SEO is that you can engage with a ton of people. It was estimated in 2016 that Google processes over 2 trillion searches each year, giving businesses a great opportunity to get in front of a lot of prospective leads. However, it is also estimated that 90% of search engine users do not go past Google’s first page. In order to see meaningful SEO results, it is absolutely crucial to rank on Google’s first page. So how long does it take to get on Google’s first page? This estimate appears to be common amongst SEO specialists. Of course, the exact time length can vary with certain factors. For example, if your company offers a new disruptive product/service that’s the first of its kind, the low awareness that comes with a brand new innovation take longer to show SEO results since people aren’t searching for your offerings just yet. 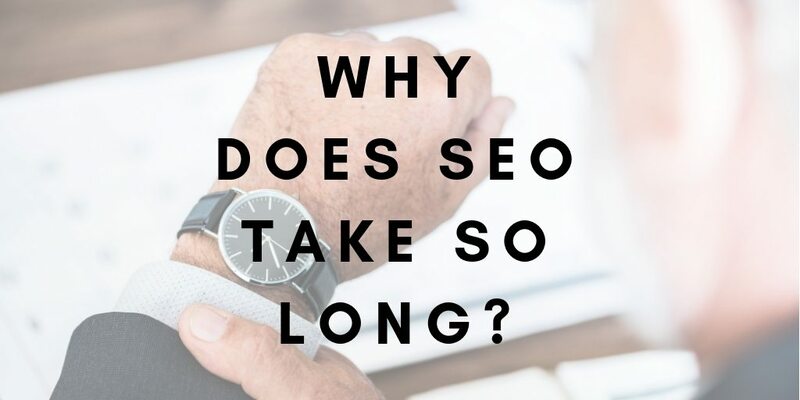 Likewise, if you are trying to rank for keywords whose current page one results consist of authoritative websites and/or widely known brands, outranking websites with strong SEO can take longer than normal. However, if you focus ranking for longer tail keywords with lower competition, you may start seeing results on the lower end of the spectrum. Why Does it Take so Long to Rank in Google? When thinking about any keyword that’s relevant to your business, it makes sense that Google would show your website among the first few results when it is searched. It would make sense for Google to rank our website for the keyword, “Digital Marketing Agency,” on Google’s first page. After all, SoMe Connect fits the exact definition of a digital marketing agency. However, there are thousands of digital marketing agencies with a website, and Google can only show 10 of those websites on their first page. Proving to Google that your website should appear before any of the other several thousands of websites going after the same keywords often requires a demonstration of industry thought-leadership on your website. While optimizing your website’s technical functionality (loading speed, security, etc…) is necessary to outrank competing websites, creating the necessary content to demonstrate that your brand is an industry thought-leader can be time consuming. An elaborate content marketing strategy is needed, and it needs to be targeted at creating better content than your competition. It can take months of steadily publishing authoritative high-value content to start gaining on the competition. Furthermore, there are over 30 million unique web pages in Google’s index. The content on your web page is one of 30 million others that Google’s AI needs to read. This can also take some time. If you’re updating your website with high-value content frequently, earning backlinks and seeing no results, it can be easy to get discouraged. However, you should never give up if you want to see SEO results. 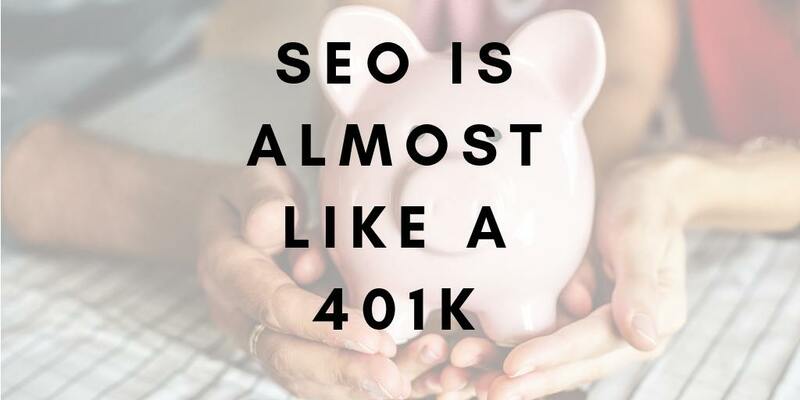 SEO is almost like a 401K. You need to continually make investments over a long period of time. While it starts small, you earn incremental gains which eventually turn into large gains over continuous investment. Approaching SEO with the same mentality is the best way to see results.